We recently wrote about how we developed our initial range of camera messenger bags. In that post we talked about traveling through Europe in order to put our sample bag through its paces. This would bring to light certain issues that we needed to address before production. It would also inspire us to make another trip with our production bags, as well as our leather camera straps, to once again, test the capabilities of the products. Only this time, there was no pressing the pause button to make changes. This time, the bags and straps were already produced and in a warehouse, ready to ship, once we launched our website. Still, the adventurous spirit inside of us told us to do it. 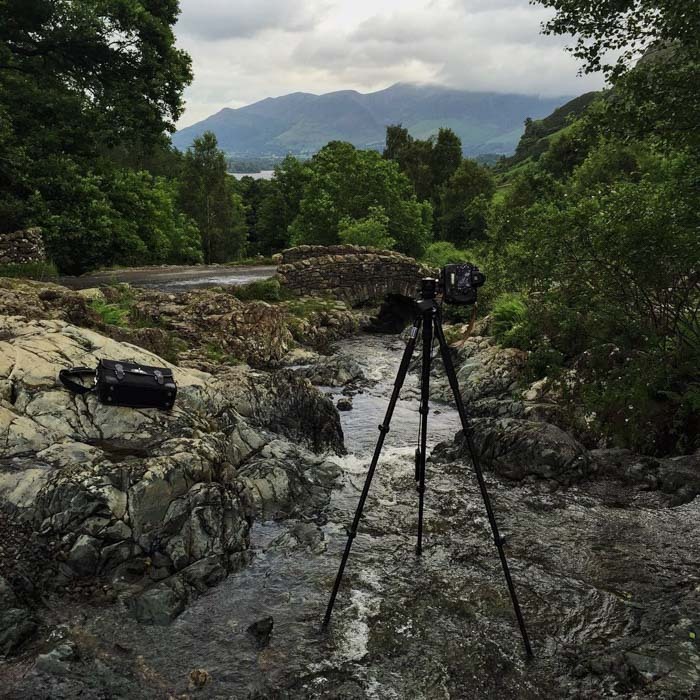 We would travel around the UK doing what we did best, taking photos and using our products. What a great feeling it was to actually be using the goods we created and then produced. The below journey was done early in 2016. Enjoy. This was not about doing some posh photo shoot with models and artificial light. That’s easy for any company to do and gives no additional insight into the products. This was about getting to know our brand inside and out before we officially launched. 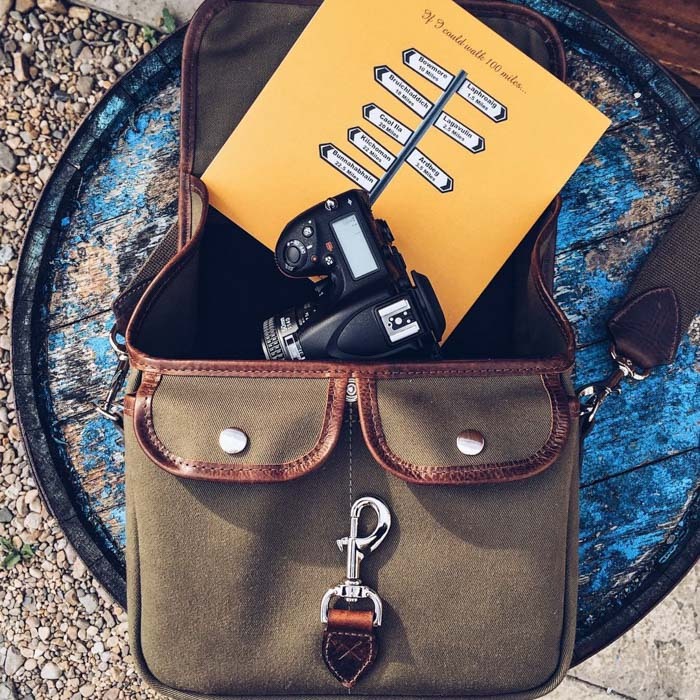 Taking photos of the camera bags and leather camera straps that we created would help us form a better bond with them and help to better identify their strengths. So often in the past we’ve bought photography equipment and have been dumbfounded by the design. Did the people who created these products actually test them… properly or at all? 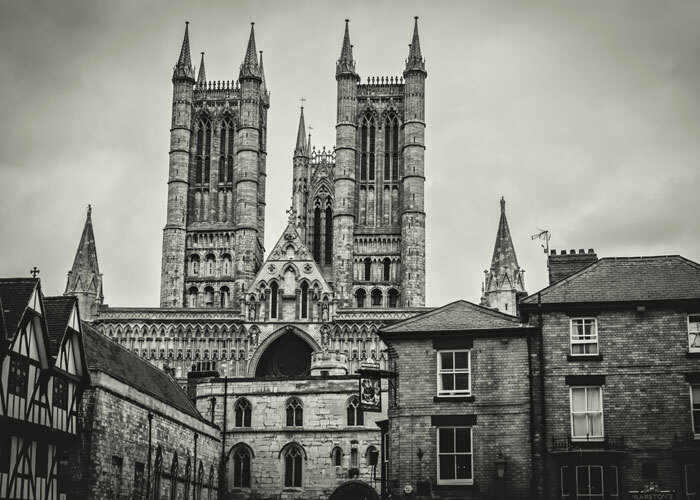 You’ve probably experienced it, too, in the form of uneven weight distribution in a camera bag, or a leather camera strap that wasn’t soft, of scratched your camera because of all of the metal used. Only when we started using the products as they would be used by our customers would it give us a sense of their true purpose and function. And we gave them no succor. We drenched them in Scottish rain. We threw them into the boot of cars and dragged them on jagged rocks. And amazingly, besides a few scratches and scrapes, they were completely unfazed. We were impressed. 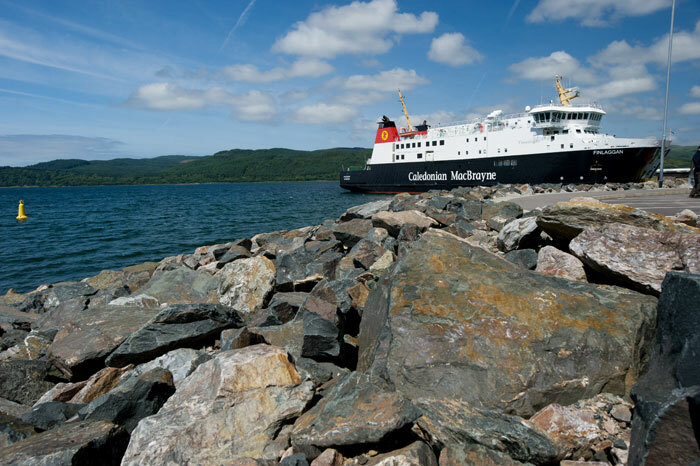 About to board the ferry from Kennacraig to Islay. 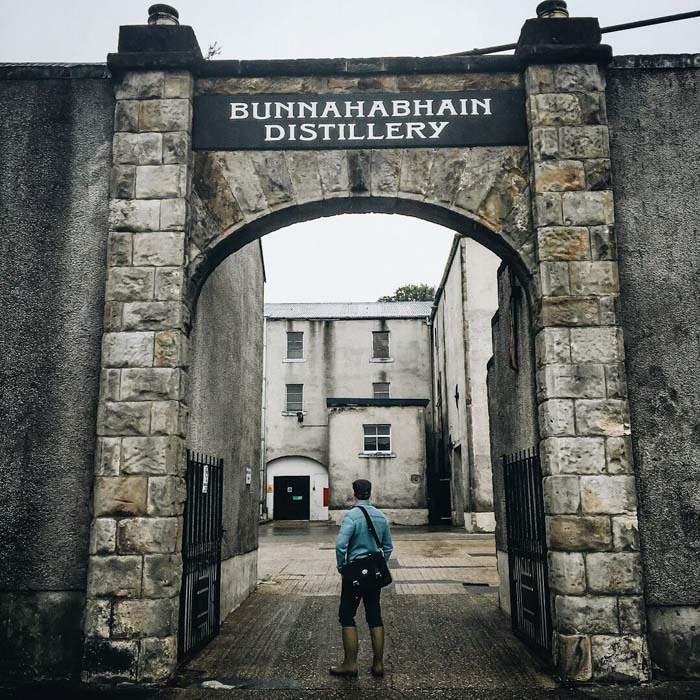 One of the finest whiskys in the world, Bunnahabhain. And like us, they have decided to keep things simple. Bunnahabhain is one of the only Islay whiskys that does not chill-filter, or add colouring agents, such as caramel. They are also one of the least commercial distilleries on the island. In fact, most people would probably discount them for that reason. There is no fancy showroom, just a small shop. When we went there it was pouring with rain and only one person working there. She was watching golf, but was charming and couldn’t be more helpful. We loved the place immediately. There’s almost nothing better than a good old fashioned road trip. To get in a car and plot a course on a map. Nothing in front of you but open road. We had wanted to drive around the UK for quite some time. Being a UK brand we have several manufacturers dotted around the country and we thought it would be a great idea to photograph our new product range, while visiting our manufacturers to watch exactly how our camera bags and leather camera straps are produced and take in some beautiful UK scenery along the way. There is perhaps no better landscape on Earth than that which is contained within the shores of Britain. 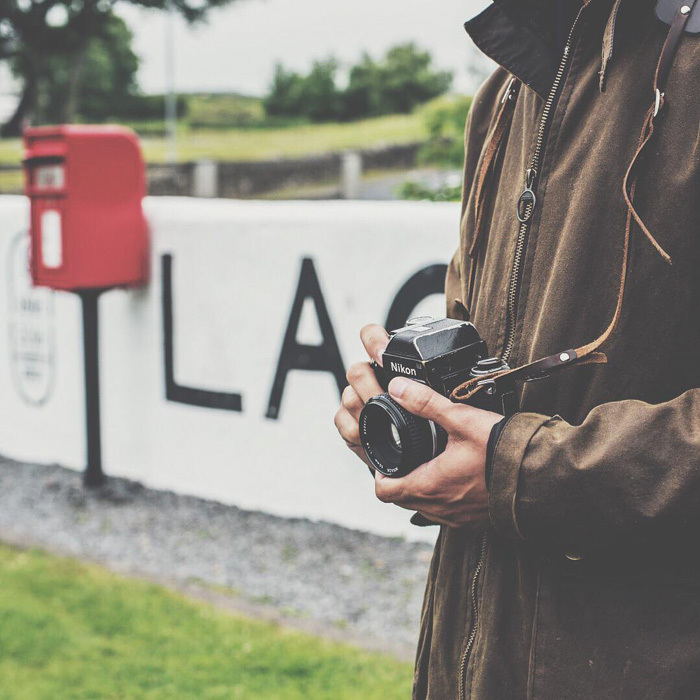 We wanted to photograph our camera bags and leather camera straps in this environment for obvious reasons… it is the area in which the products are produced, as well as where most of the materials used to create the products derive from. 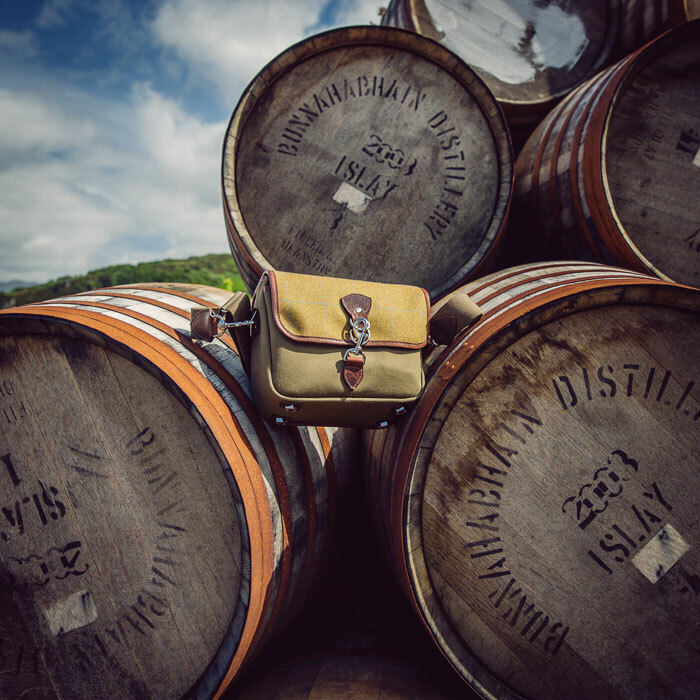 Map of the distilleries in Islay and our small Jermyn Street camera bag with Nikon D750. A beautiful, well-brassed Nikon F2 with 50mm f1.8 AIS lens attached to our brown Borough leather camera strap. Our small Jermyn Street camera bag trying to take some of the angel’s share. Nice try! 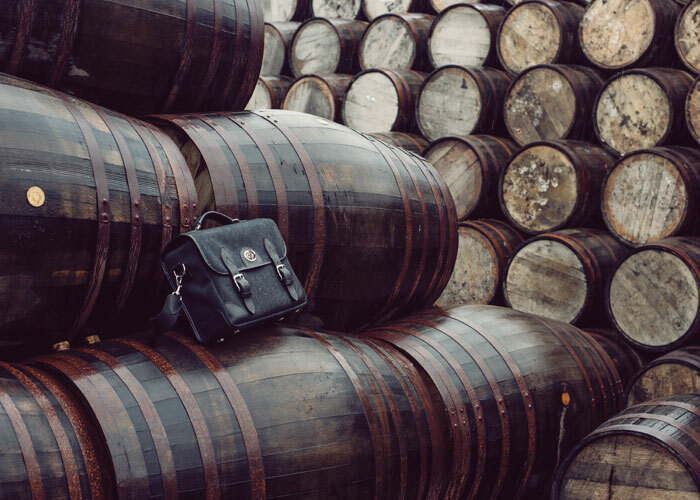 The Bond Street camera messenger bag in the foreground with the venerable Laphroaig no. 1 warehouse in the background. 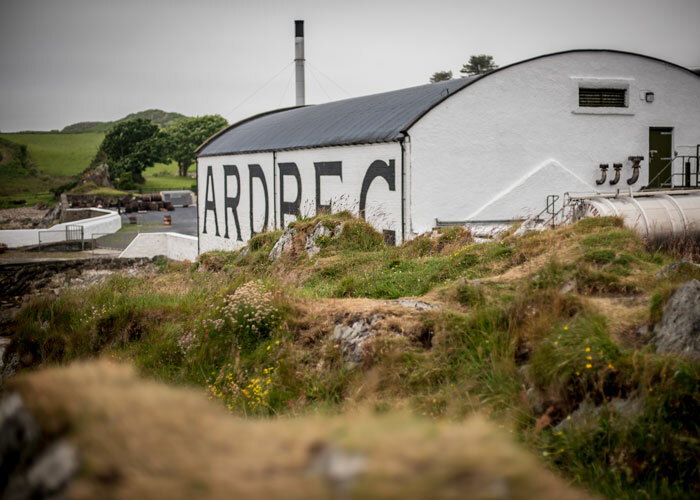 Some of the world’s finest whisky’s have been aged in this warehouse. 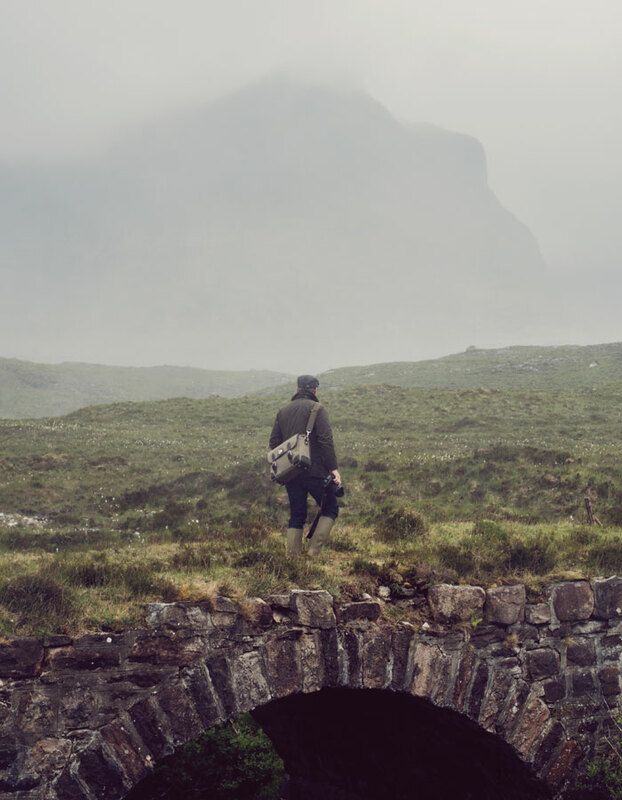 The wonderfully rugged and enchanting scenery that surrounds Ardbeg distillery. 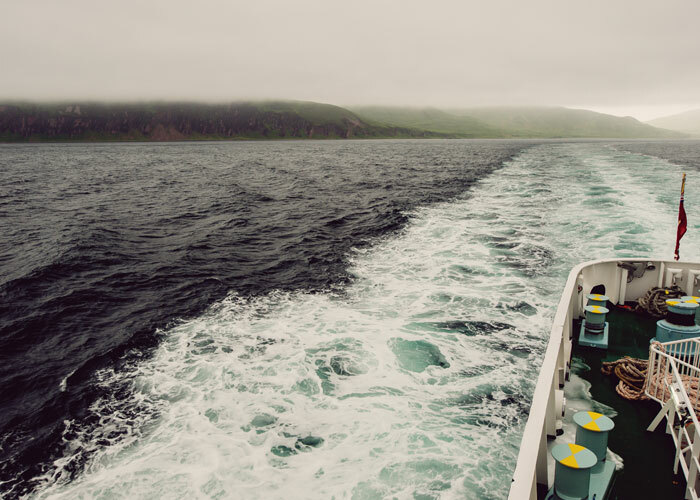 The voyage on the ferry from Islay to the mainland is one of the finest crossings in the world. It is like viewing a scene from The Lord of the Rings. There are endless smaller islands with lone lighthouses gracing the steep, jagged shoreline. It is truly a journey everyone should take at least once. Especially if you like whisky. Once we were back on the mainland it was a straight shot to Fort Williams for the evening and then on to Inverness. The capital of the Highlands, Inverness is a lovely city. 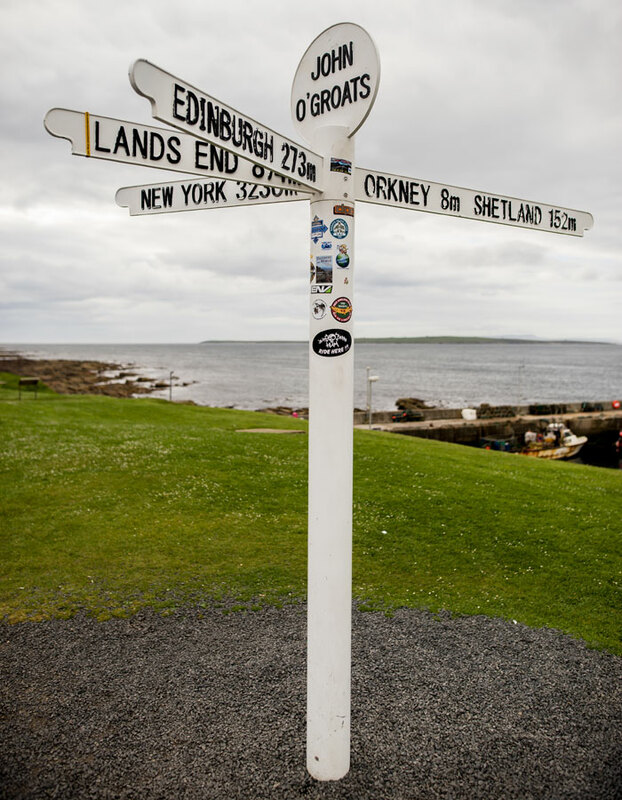 It is impossible to feel like you’re anywhere else in the world, other than the Highlands. 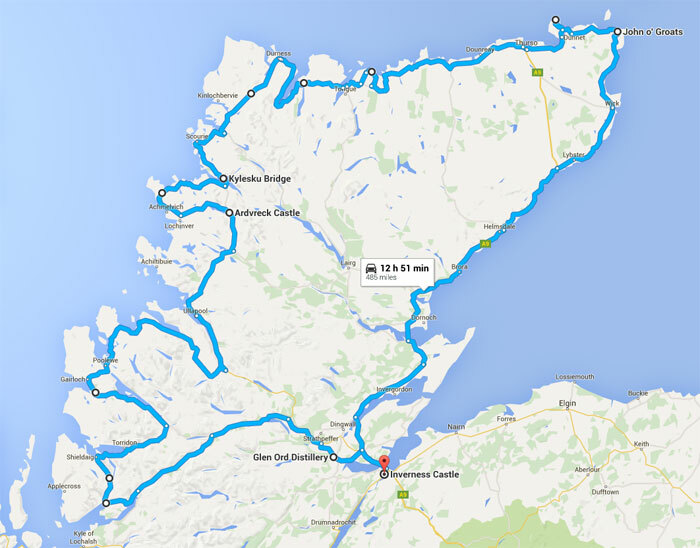 If you put this text into an internet search engine, “best drives in the world” you will inevitably stumble across the North Coast 500. The North Coast 500 from Inverness to John o’ Groats and back to Inverness. One of the finest driving experiences in the world. The Marlborough camera messenger bag and Nikon F2 with Borough leather camera strap. 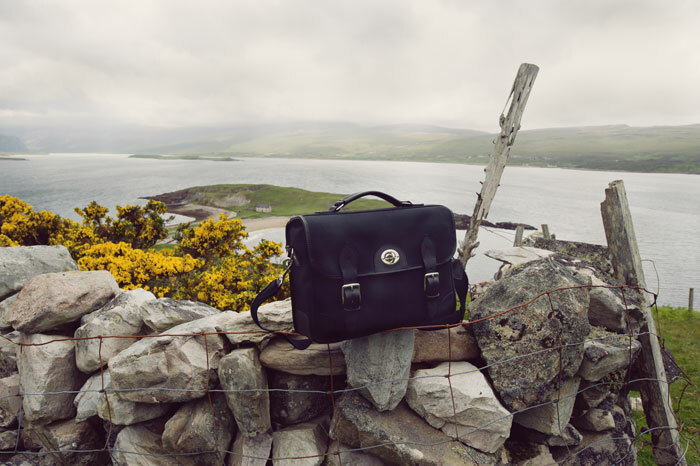 Our Bond Street camera messenger bag taking in the views near Ardvreck Castle. Getting lost in the fog somewhere near Ullapool. Marlborough camera messenger bag keeping our gear dry. We were driving through a bit of cloud and the mountains looked beautiful. So we stopped to take some photos. Within minutes the fog engulfed the peak and swept down into the valley to drench us. Luckily we had our waterproof gear on and were toting the incredibly reliable Nikon D3 around with us. So no worries there. The rain kept coming and we kept shooting. 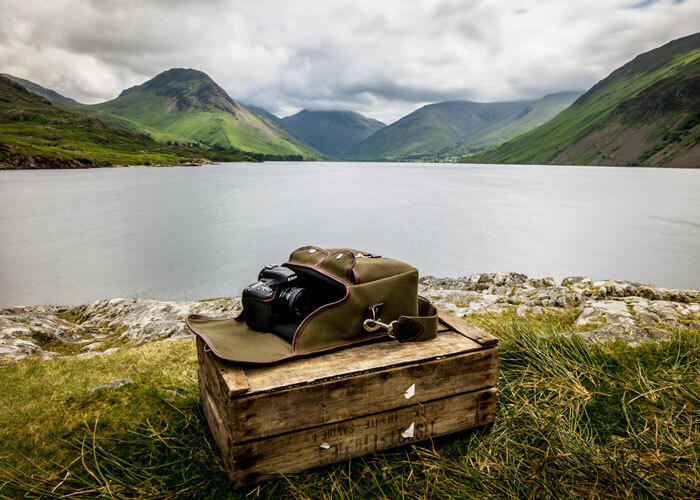 Our full range of camera bags are produced in the Lake District. So it was only fitting that part of our journey encompassed this area of outstanding natural beauty. 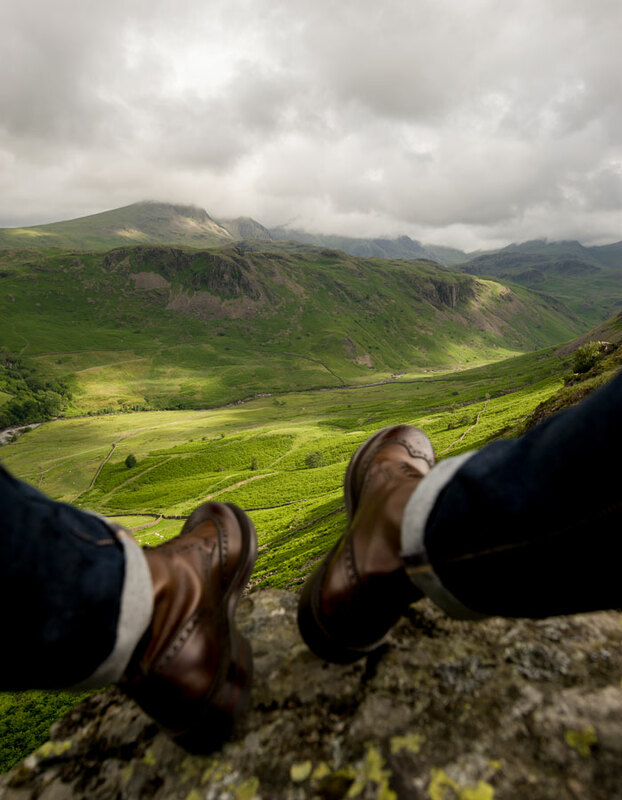 Taking in the view near Hardknott Roman Fort, which was built between 120 and 138. Just one of the amazing things you see in this part of the world. 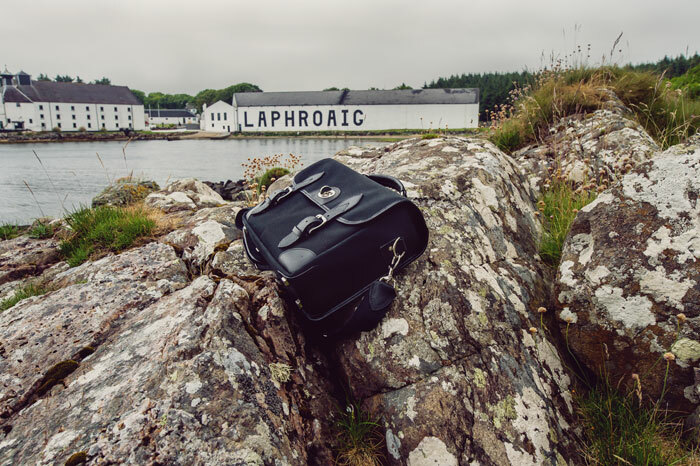 Could there be a more perfect setting for our small Jermyn Street camera bag? Inside sits a Nikon D750 with 50mm f1.4D lens. This was more than just a road trip for us. It was a pilgrimage of sorts. The final piece of information needed to fully understand the products we were making, so that we could convey that to our future customers. Plus, it was a lot of fun and we learned a lot. Firstly, we learned just how tough and durable quality made products can be. Of course, we already knew this to some degree, but this gave us a better certainty. Most of our customers are quite polite with our products, but on this trip, we weren’t. And it didn’t make one bit of difference. The camera bags functioned perfectly. They held everything we needed them to hold. They were comfortable and felt like an extension of us. Which is exactly what a photographer wants. The leather camera straps were equally as wonderful to use. But unlike the bags we didn’t notice them at all. Which is exactly what we wanted from a camera strap. They were soft, comfortable and did the job we needed them to do. We didn’t worry about getting them wet, or scratched. They dried and looked better than before. And most of the scratches were rubbed away. Such is the beauty of Horween Chromexcel leather. What would be the point of coming all this way if we didn’t get out there and take some photos for ourselves? Details: Nikon D3, Sigma 24mm f1.4 ART lens, B+W F-Pro Circular Polarizer, Hoya Pro ND 10 stop filter. EXIF: ISO 200, f16, 135 seconds. iPhone photo showing the setup. 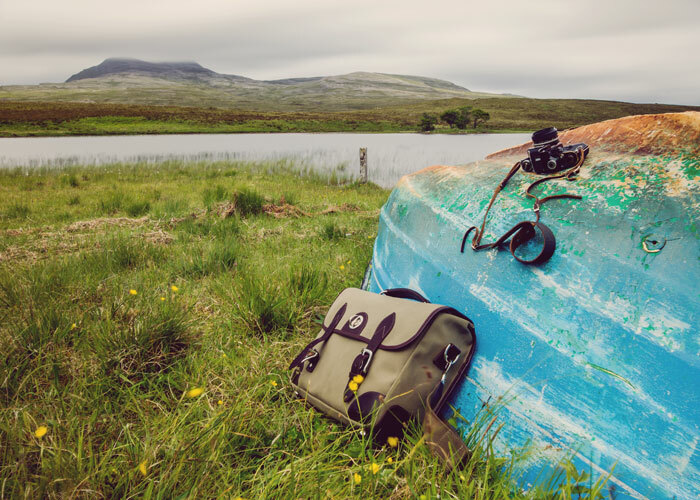 Our Bond Street camera messenger bag rests on the rock while we shoot. Thanks for reading this. If you have any questions or comments please feel free to pop them down below. 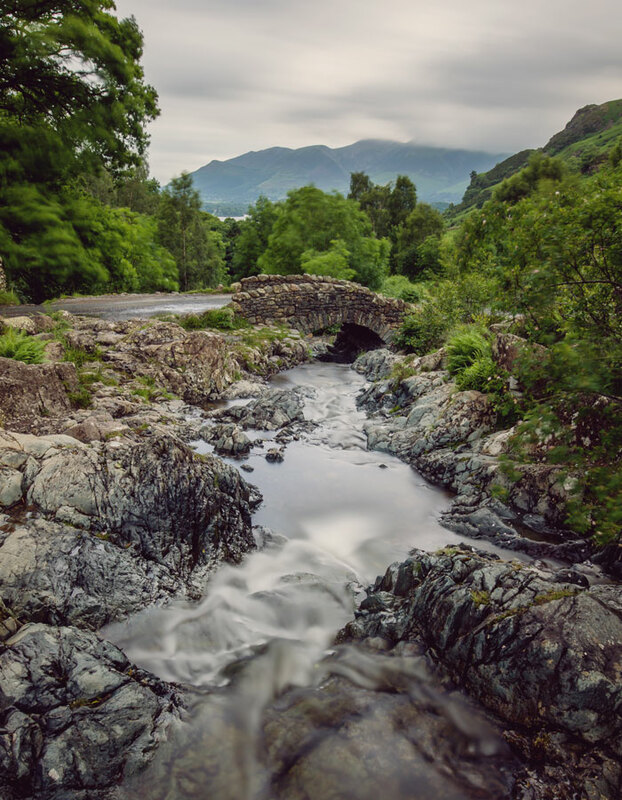 This entry was posted in Camera Bags and tagged Camera Messenger Bag, Cumbria, field testing, Leather Camera Straps, photography, road trip, Scotland.